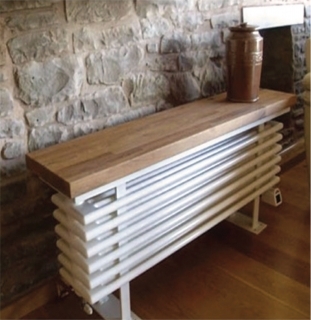 Perfect with rooms with restricted space through its horizontal design, the Bench radiator combines the functionality of warmth with the ability to provide the convenience of seating. Steel radiator finished in pure white RAL 9010. All heights include bench seat.